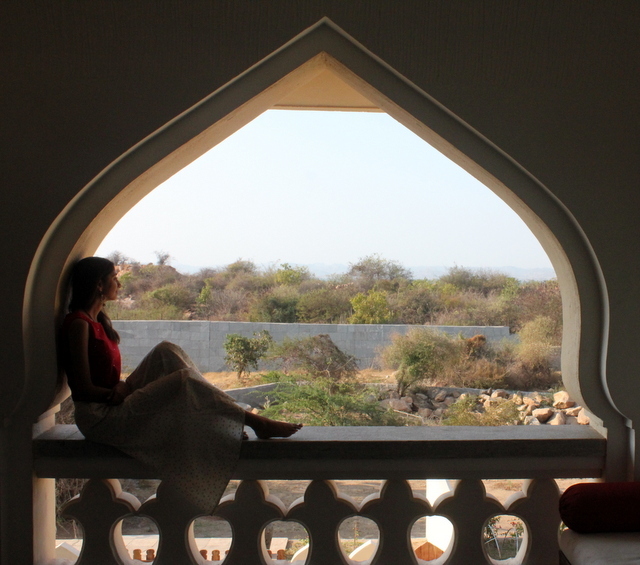 Last week I was invited by EvolveBackResorts – Hampi for a 3 night, 4 day getaway at their property. One look at the pictures on their website, and I couldn’t wait for the stay to begin! I love (and live) to create stories on the blog, that’s always been the aim from Day1. And thankfully, I almost always get to associate with other people/brands who have an equally interesting story behind them. They say every story has a beginning, and how EvolveBack came into being has an equally enthralling story too. If you are interested, you can read about the House of Ramapuram on their website. For now, let me move onto my story! EvolveBack Resorts Hampi is the third latest offering (first and second properties are in Coorg & Kabini), situated just 4km from UNESCO world heritage site of Hampi. 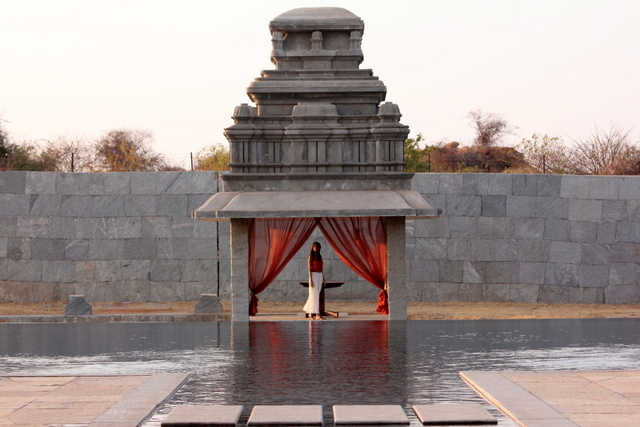 The resort is influenced by the architectural styles of 14th century Vijayanagara Empire. 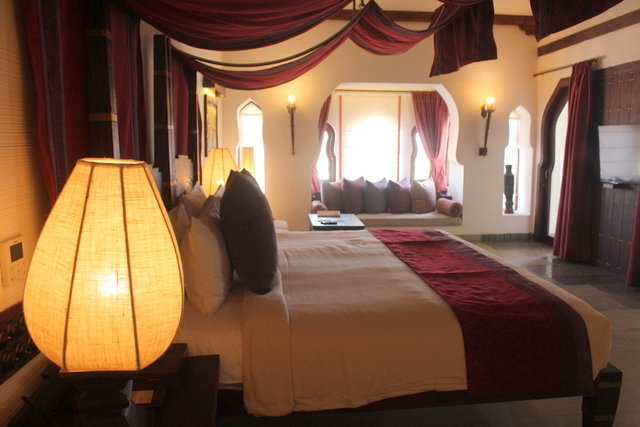 It is the perfect blend of modem luxuries and traditional architecture. With rugged forests, rocks, and beautiful ruins forming the ambience for the place, the resort transports you back to a time of royalty, riches and heritage. We travelled from Hyderabad to Hospet by an overnight train. And we were picked up from Hospet by a car arranged by EvolveBack. 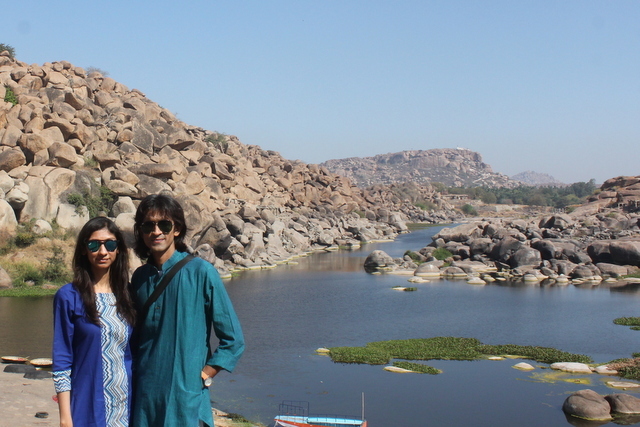 Hampi is about 17km away from Hospet and we enjoyed a pleasant 25minute drive through the town watching the fields and the Kamalapur lake. 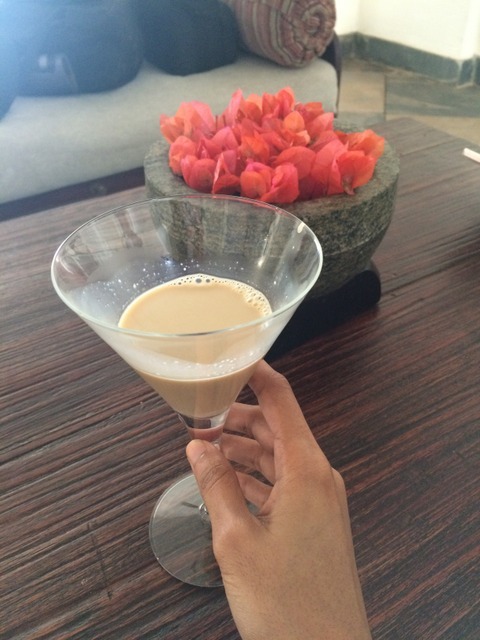 Once we arrived at the hotel, we were welcomed with a sweet coconut & jaggery welcome drink. 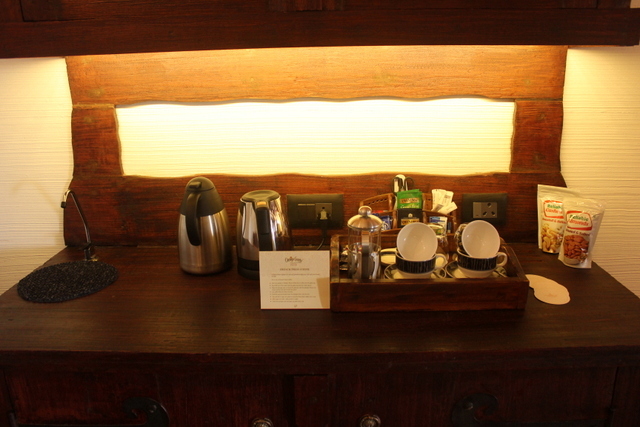 We refreshed in the room, had breakfast and spent the first day just exploring the property. They have 4 types of suites, each slightly different from the other, but united over the theme of luxury, elegance and royalty. 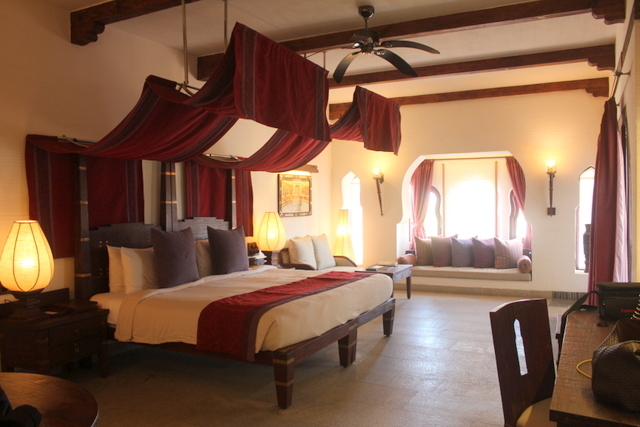 Zenana, the most luxurious suite in the main palace building is inspired by the Queen’s quarters and has a separate living & dining area, along with a private balcony and a private jacuzzi. The next one, Nilaya overlooks a private terrace, with separate dining, living and sleeping areas. This one too has a private jacuzzi in the room. 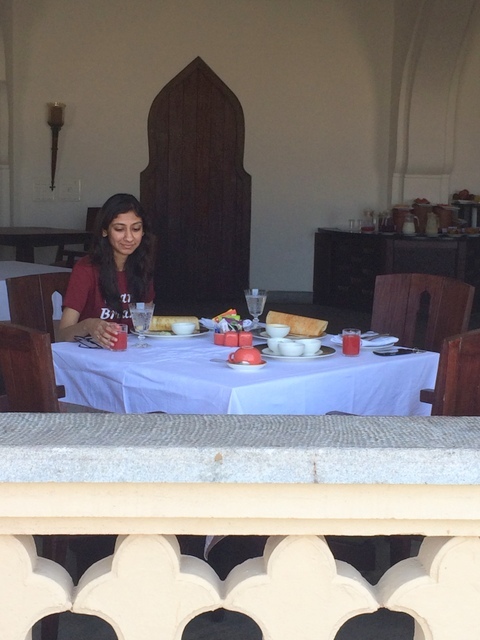 The room that we stayed in is called Nivasa, and that was nothing less than a palace in itself. 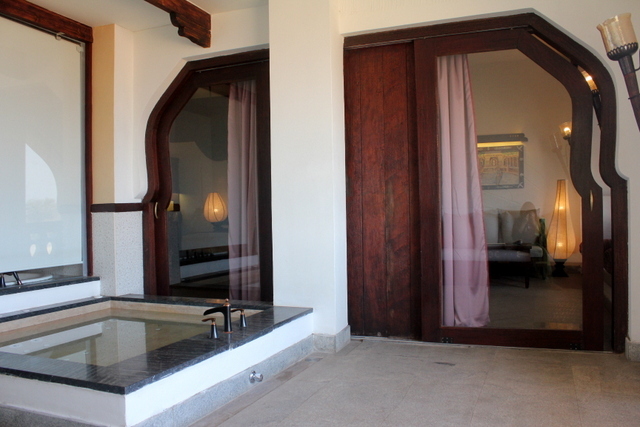 With a private jacuzzi in our balcony, this room was heaven to just be in. 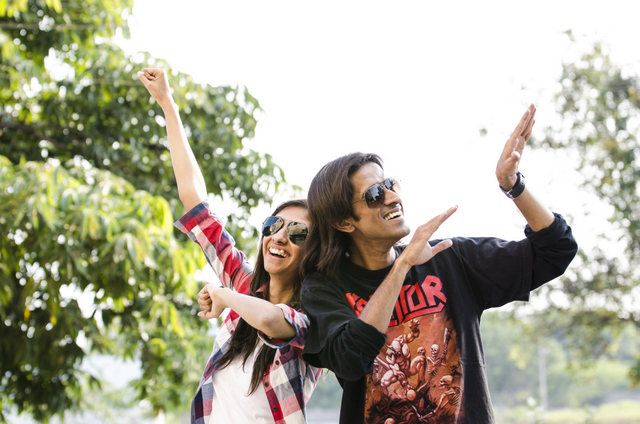 We spent the first day just relaxing in the room, exploring the property and clicking pictures. By the end of the day we had finalized our itinerary for the next two days which involved activities and trails organized by the Activities Head at the resort. The Raya Trail, Vitthalapura walk, Tungabhadra trek and Virupaksha trail were the ones offered to us. After a discussion with their Activities Head, we decided to do two of them – Vitthalapura walk and the Virupaksha trail. Let me talk about each of these in detail. 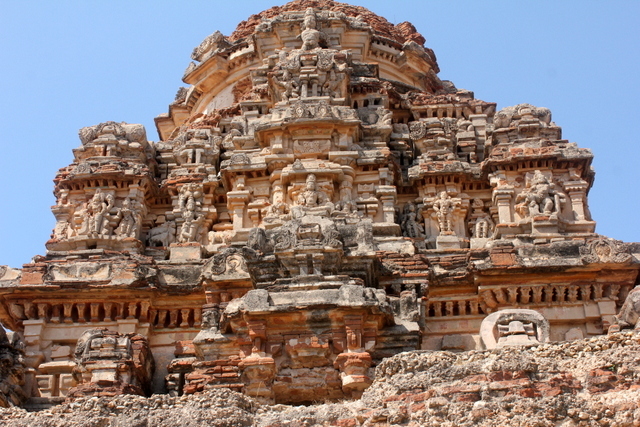 Virupaksha temple is one of the main & most famous functioning temples in Hampi today. Since it is a must visit we didn’t want to miss this at all. Our guide & historian Mr.Ramesh took his time in explaining the history behind every place which was quite interesting. 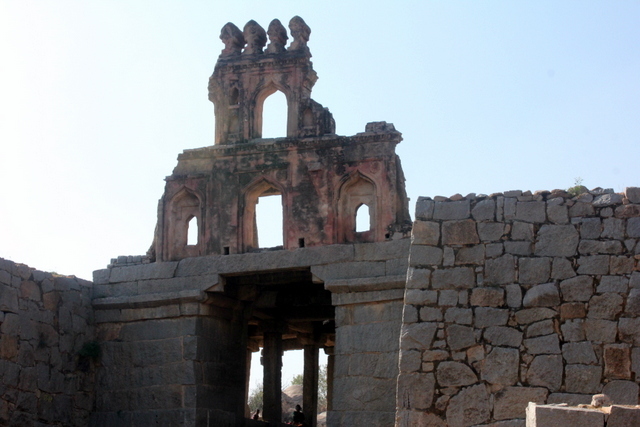 Most of Hampi’s settlements were centered around a temple and an attached market representing the two core activities – worship & commerce. The Vitthalapura bazaar was one of the most famous ones where diamonds and precious stones were sold on the sidewalk like it was no big deal! 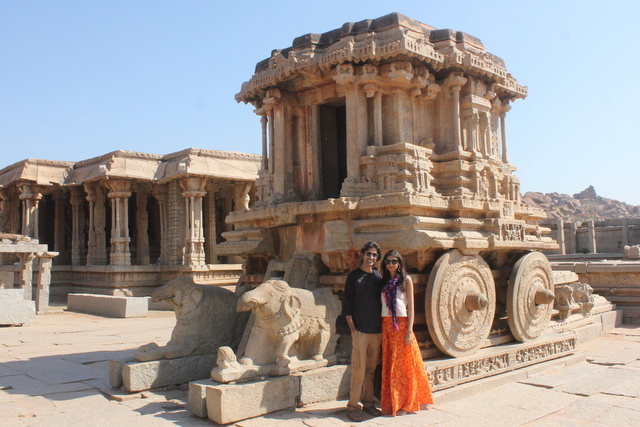 The temple is famous for it’s musical pillars and a chariot carved in stone. The Raya trail basically covers the ruins of the Queen’s place, lotus mahal and underground temple. 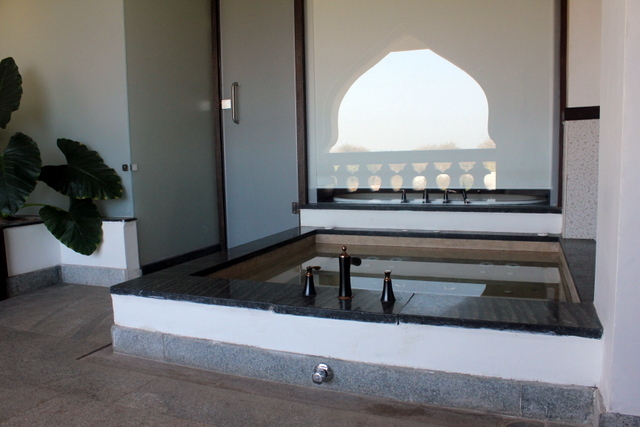 It basically gives you a peek into the privileged lives of the Rayas (Maharajas) of Vijayanagara kingdom. 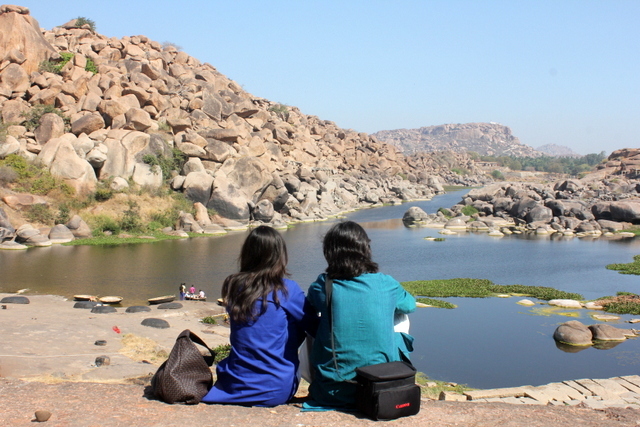 The Tungabhadra trek is a 2km walk/trek through boulders, rocks, roughly carved steps, that takes you through the famous Courtesan bazaar, and offers you a splendid view of the river. You can also opt for a half an hour or one hour boat ride, that takes you through the river. 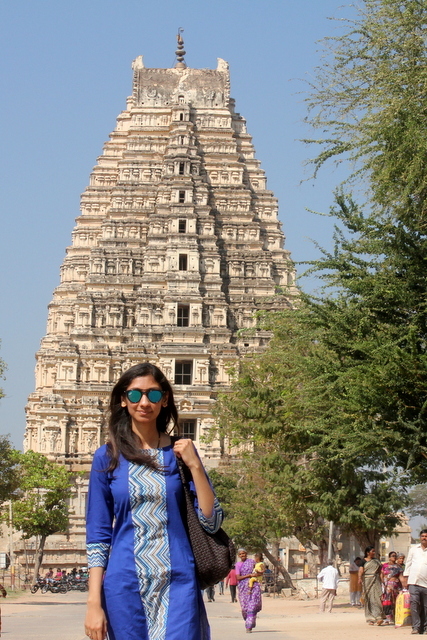 The Vitthalapura walk is one that I would recommend as must & should for anyone visiting! 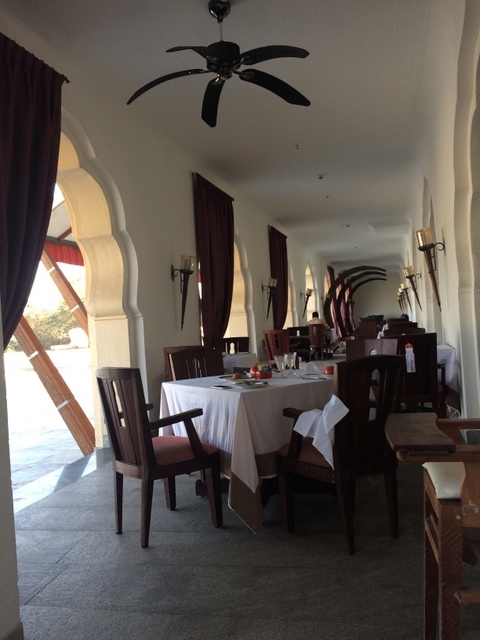 There are two restaurants in the resort – Tuluva and Brahmani. 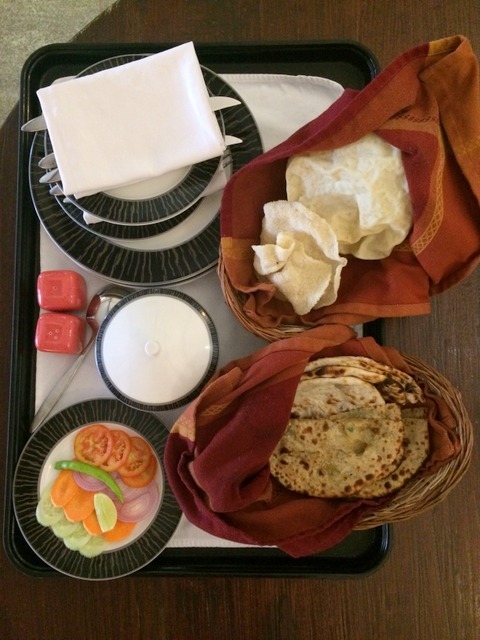 Tuluva has a fine selection of Indian & Continental cuisine. 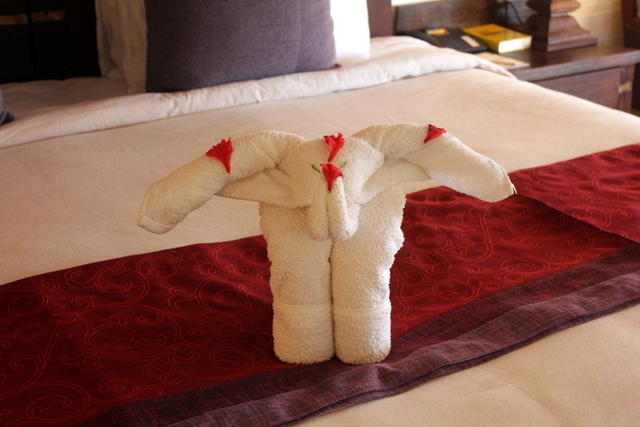 With a pool side view, and staff that are ever ready to serve you, you wouldn’t want to get up from here at all. 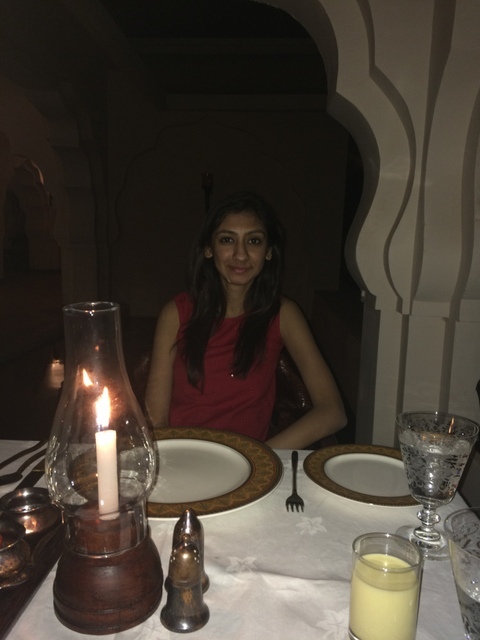 On our second day, we had an exquisite pool side, candle light dinner arranged for us. We spent about 3 hours just dining, talking and looking at the stars above wishing the stay would never end. 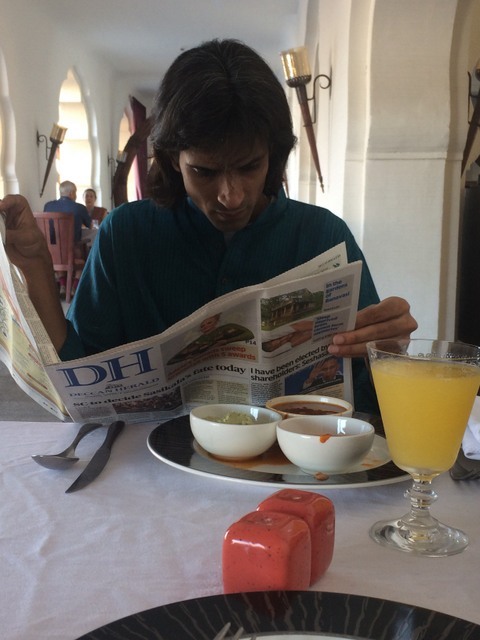 Brahmani has mostly North Indian cuisine and that was where we had dinner the other two nights. Special mention to Chef Gopal, who not only curated and customized a menu for us but was ready to whip up anything that we wanted to have even if it wasn’t on the menu. Did we feel like royalty or what! I chose to visit the Spa on the last day, after we’d competed all our touring, walks and treks as I knew that would be the perfect relaxing end to the trip. 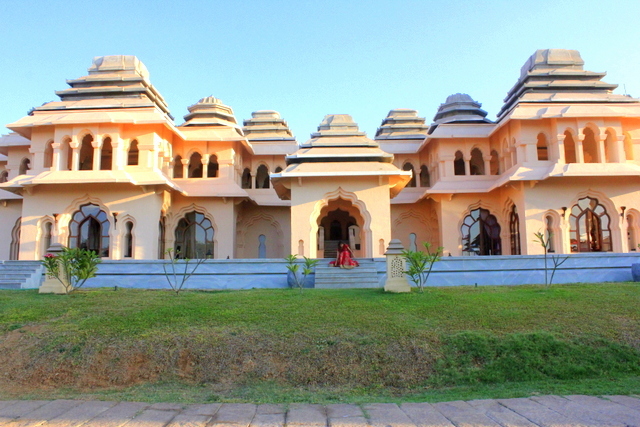 The Vaidyasala offers a wide variety of Ayurvedic massages performed by two masseurs at once. 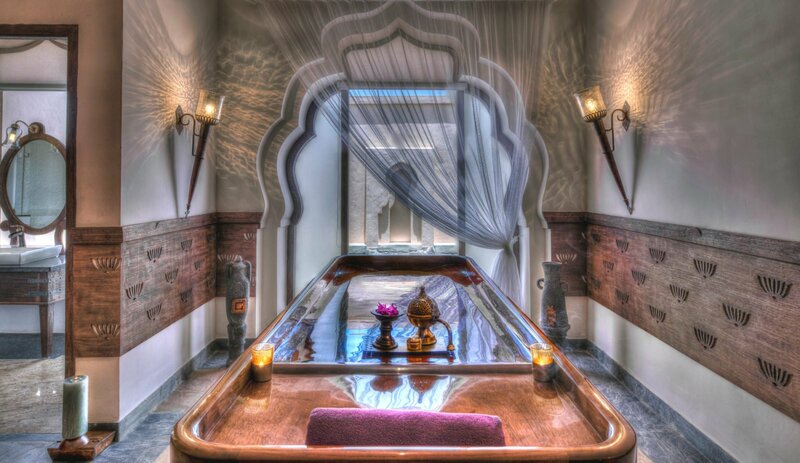 I went for an Abhyanga massage which started with a small prayer, a relaxing massage and ended in a steam bath & shower. The rooms although tiny, opened up to an open outdoor view of a mini pool with lotus flowers giving you the impression that you were actually outdoors, whereas it was an enclosed room with a mini pool view. From spending time in our private jacuzzi, to taking strolls in the long winding corridors of the resort, to sitting by the poolside for breakfast, lunch and high-tea, the resort was beyond our expectations. 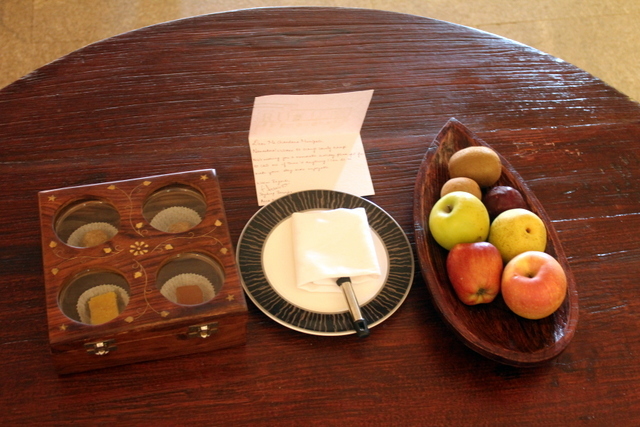 The staff were ever so pleasant and always available for anything we wanted. If I really had to pick, the only gripe I have was that they have terrible wifi connection. 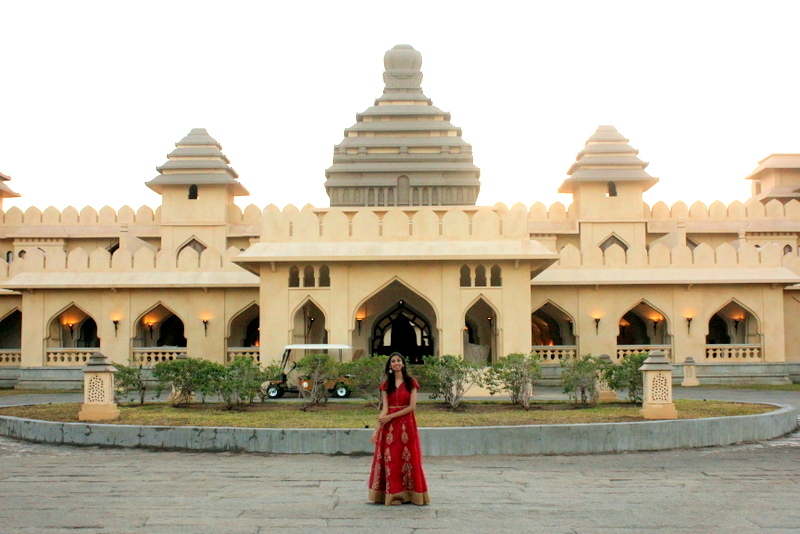 But other than that if you are looking for your next royal dream holiday, I would definitely recommend you pick this!